The recommendation from carpet manufacturers is to schedule carpet cleaning for your home or business once every 12 months. A service from a Monroeville carpet cleaning company restores the color of your carpet and helps preserve its quality. You can extend the lifetime of your carpet with deep cleaning. You should schedule carpet cleaning in Monroeville from a certified service with a strong reputation among the community and its customers. Avoid steam cleaners and services offering prices too-good-to-be-true. You should invest in quality and reliability when it comes to professional carpet cleaning. 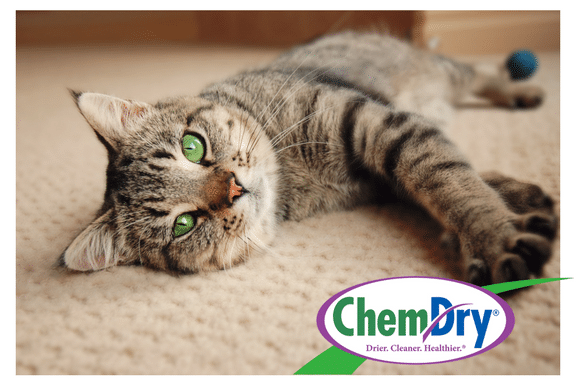 You will experience superior service and results with an appointment from Chem-Dry of Fort Wayne. We are proud to serve residents and businesses of Monroeville in Allen County, IN. We represent Chem-Dry as one of over 1,000 franchises across the USA. Our service features all-natural products, safe solutions, trained technicians and industry-recommended equipment and methods. The service starts with vacuuming to remove dirt on the surface. Then we spray The Natural® on the carpet. The Natural® is green-certified. The solution creates bubbles able to lift soils and bacteria to the surface. Then our Hot Carbonating Extraction (HCE) equipment purges the bacteria from your home for good. The entire process is efficient and effective and 100% safe for your carpet and your home. You will love the results immediately! You can include upholstery cleaning in your service from Chem-Dry of Fort Wayne too! We clean all types of furniture. That includes sofas, recliners, dining room chairs, ottomans and more! The process is identical to our carpet cleaning service. We vacuum your furniture then spray The Natural® on the upholstery. Then we use Hot Carbonating Extraction (HCE) to remove the dirt and soils from the surface. Your furniture needs routine deep cleaning just like your carpet and your rugs. Chem-Dry of Fort Wayne ensures your upholstery maintains its color and beauty for the years ahead. We offer professional rug cleaning too! The Chem-Dry of Fort Wayne rug cleaning process is perfect for rug runners, area rugs, heirloom rugs and valuable Oriental rugs. We provide the proper care necessary for all materials and construction types. The service is both gentle and powerful to ensure a deep clean without damaging fine textiles. Call (260) 409-1138 to schedule carpet cleaning in Monroeville, IN from Chem-Dry of Fort Wayne.